I’m going to tell you something every woman should know. A rule of thumb when pulling any outfit together is to LAYER. 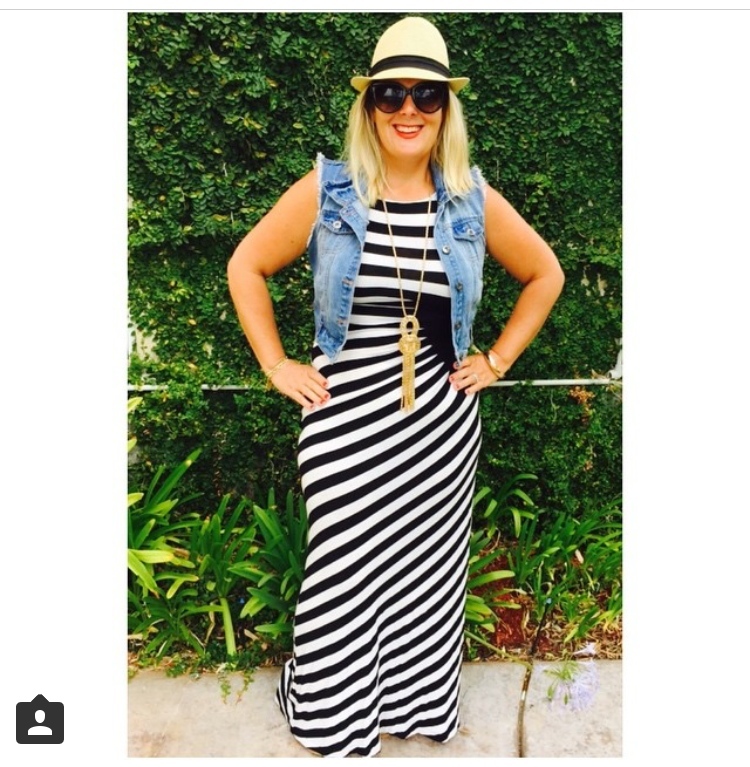 Layers can add interest, and can be such a great finishing touch to any outfit. Not to mention helping transform an outfit from day to night, or from a cold morning to a hot day (much like my beloved Bay Area weather). 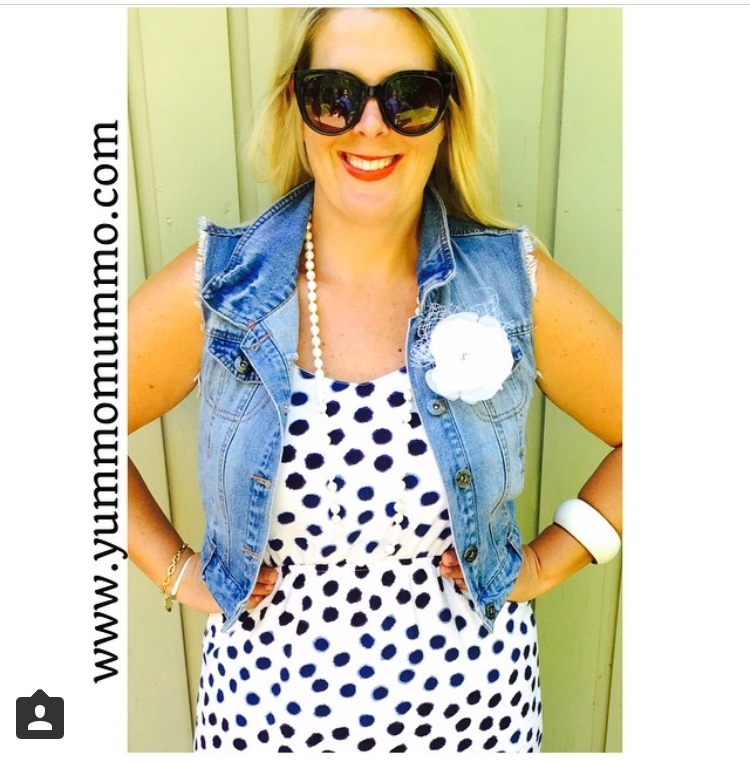 I love my denim vest, and it continues to put a smile on my face as I am pulling it into my winter wardrobe. 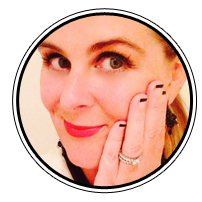 Below I have oodles of inspiration for you, featuring yours truly, Yummo Mummo herself – your average Mummo who loves to share her fondness for wardrobe. My vest took me right through summer, and is continuing to work just as well with my winter closet. There are many denim vests on the market, but for me, my denim vest hits me right at the smallest part of my waist, so it is the most flattering for my body type. As for color, this hue of blue is so classic, it goes perfectly with so many colors, much like a classic pair of jeans. Leave me a comment below. You can imagine a lot of time goes into a blog post, so it’s nice to know who is actually reading it and if my inspirations are actually inspiring. So leave me a message and say hi. My last blog post was on Elastic Waist Jeans (click HERE ), and these beauties have been getting a tonne of wear from me. They are so darn comfortable, it’s got to be illegal. I picked up this Raglan style Karen Kane top last Winter and am so thrilled its out of winter storage and back in my day to day wardrobe. Love the blue houndstooth design and Raglan is always flattering. I also wrote a blog post last summer on Raglan, click HERE . I wore this outfit today to a yearly event I attend at a friends home. She is an amazing life coach, but hosts a Brunch of Gratitude each year, which gives me a great day of reflecting on everything to be grateful for (like awesome readers). Daily gratitude is something I have been really working on this past year. This is an outfit from the summer. My husbands actual 40th birthday, in fact. We were leaving the Napa Valley, where we had spent two wonderful nights away since we had my in-laws visiting (babysitting). My husband has always loved this dress, so why not wear it for him on his birthday. It’s quite figure hugging so I feel a little less “out there” by layering with the vest. Again, layered over a dress. The vest turns a simple sundress into a lot more. Love. I have embellished with a flower on the pocket, and now I’m ready to go and get my latte. Good morning to me! 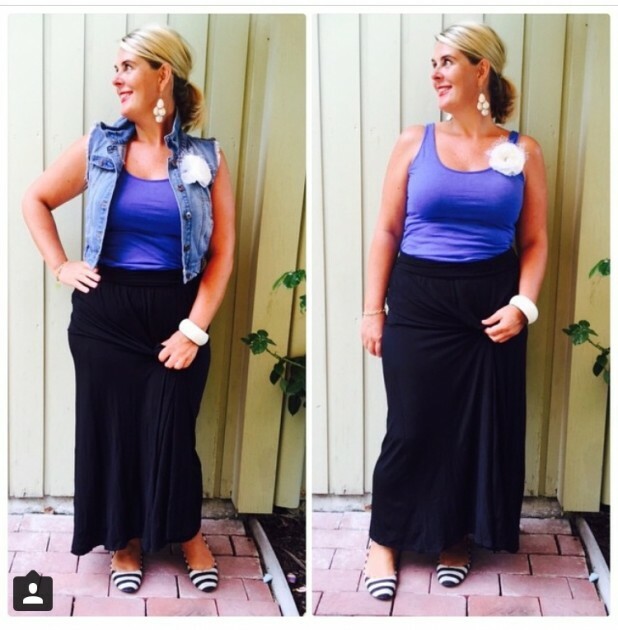 By just adding the denim vest, you can see how much more finished off a simple outfit of a skirt and top can be. If you don’t follow me on Instagram @yummomummo, then you need to. I post daily outfits of what I am wearing and have a lot of fun doing it. Complete with comments about what’s going on with my day. Again, by adding the denim vest, the outfit is even more put together, and adds color to an otherwise monochrome palette. My darling husband was taking this quick photo of my outfit of the day (#ootd) for Instagram as I was running out the door. He always manages to bring out the best in me. He had me in stitches over how to pose. He is a keeper. Trying to continue to have fun with the photos. My daughter was taking this outfit photo, and at 9 years of age, she is impressionable about body image and such. I wanted to show her how to have fun with the photos and celebrate my outfit VS being self critical about myself in photos. Even if that means looking cooky. Aside from daily gratitude, I have been working to “own it” this past year. It’s not easy putting oneself out on social media for criticism. So jealous of the weather you have! I’m in double tights today and it’s not even super cold haha! I’ve been actually on the hunt for the perfect denim vest and have yet to find one. Love how you styled yours. So versatile! 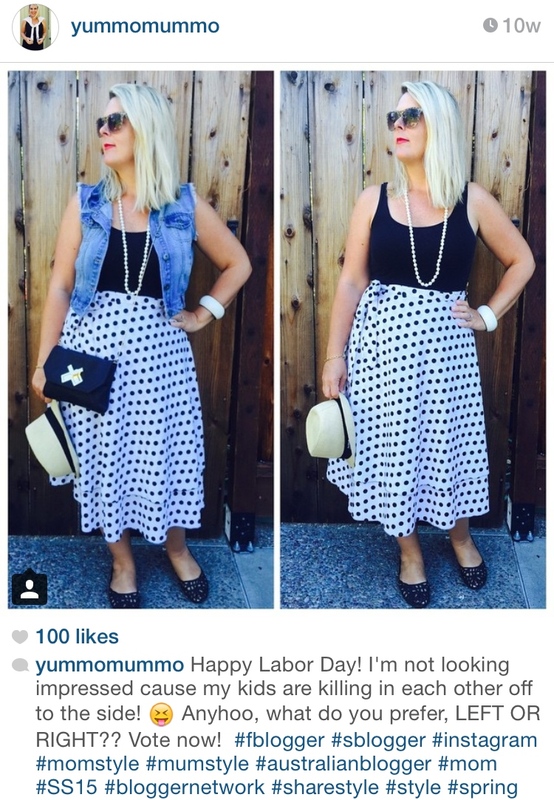 I love the vest over that spotted dress!! It’s just such a fun outfit without having to put too much effort in it (and that’s my favorite type of outfit!). All great options, but that one’s my fave!